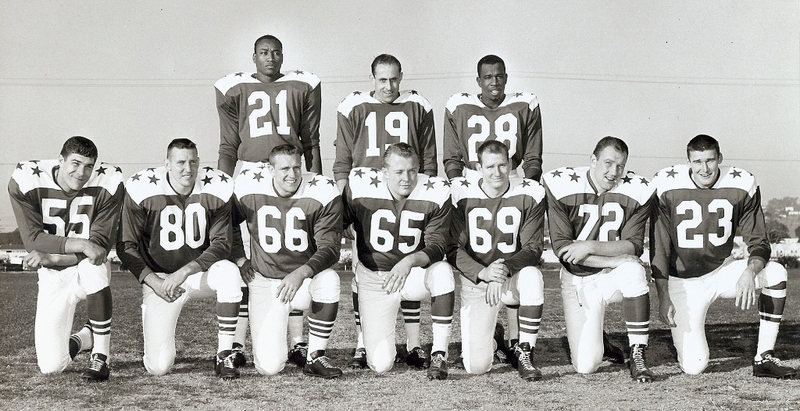 The 1962 Dallas Texans All-Stars. Top – David Webster, Cotton Davidson, Abner Haynes. Bottom – E.J. Holub, Mel Branch, Bill Krisher, Jon Gilliam, Sherrill Headrick, Paul Rochester, Chris Burford. 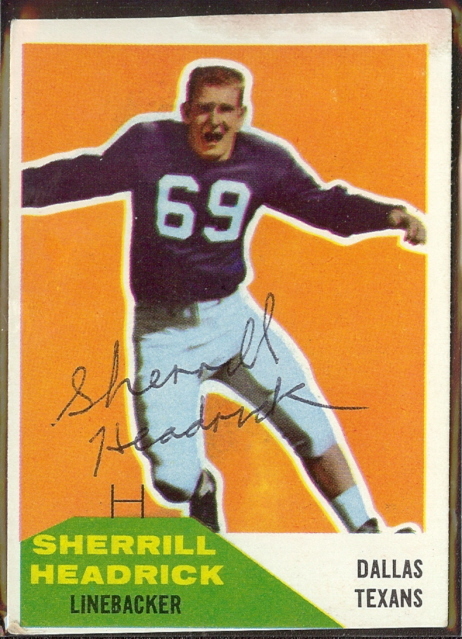 Sherrill Headrick was a Texan. 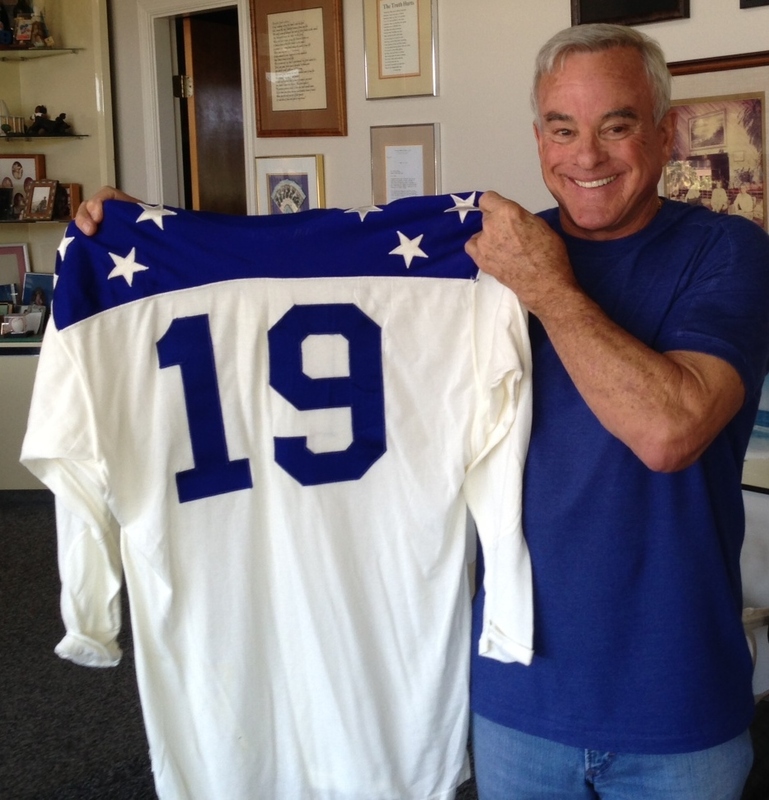 Born in Waco in 1937, Headrick attended North Side High School before taking his gridiron talents to Texas Christian University. After leaving TCU, Headrick had a short stint in the Canadian Football League before he returned to Texas and began working in an oil field. When the Dallas Texans were first signing players for their initial training camp in 1960, Sherrill Headrick was one of the men that they targeted. 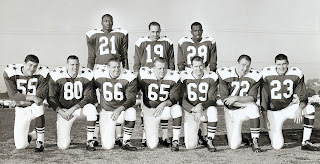 After surviving training camp in Roswell, New Mexico, Headrick and settled into a linebacker position with the Texans, from which he earned All-AFL honors in his first three seasons. Stories abound of his high threshold for pain, which combined with his intensity on the field earned Headrick the respect of his teammates, and also a nickname. They called him Psycho. 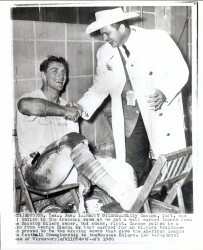 Among the injuries sustained by Psycho that somehow did not manage to put him on the sidelines – a broken neck, infected gums and a fractured thumb. Once when he broke a bone in his finger so badly that it was protruding from the skin, he insisted that the trainer pop it back in and tape it up so that he could continue playing. 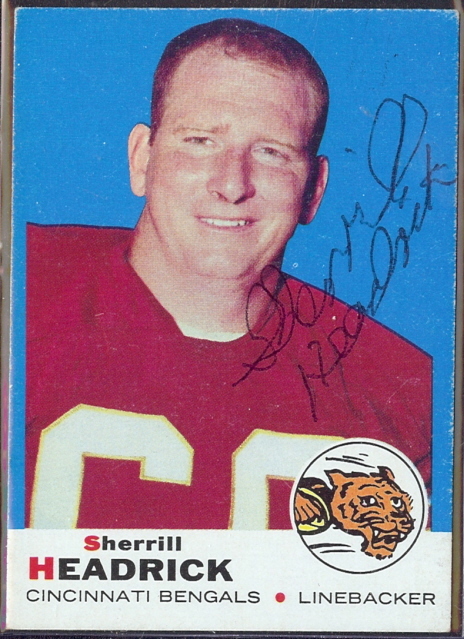 Sherrill Headrick played eight seasons with the Dallas Texans/Kansas City Chiefs before ending his career with the Cincinnati Bengals, who drafted Headrick in the 1968 AFL expansion draft. 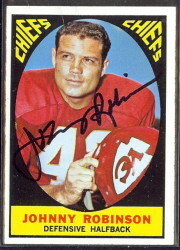 In 116 professional games, #69 recorded 15 interceptions, three of which he returned for touchdowns. Sherrill Headrick was still a friend to fans and collectors long after his retirement. So much so, that despite suffering the ravages of cancer that would eventually take his life on September 10, 2008, he continued to sign autographs long after most people would have given up. 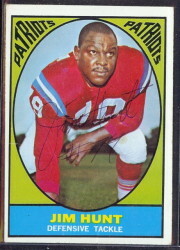 In March of 2008, I sent a 1969 Topps card to Mr. Headrick with a letter asking if he would please sign it for me. I had not known that he was ill; if I had, I would not have bothered him with the request. 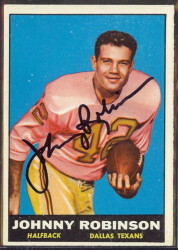 After learning of his passing later that year, I figured that he had probably been too ill to sign. As a cancer survivor myself, I knew full-well how terribly you can feel while being treated for the wretched disease. I had forgotten about the request until March 16, 2009, when I received the card back, autographed in Sherrill Headrick’s shaky hand. It speaks volumes of Mr. Headrick that he would want to honor a fan’s request, even feeling as poorly as he did. It also says something about the quality of his family that they would make sure that I received the card, after apparently finding it several months after his passing.